For a long time I was having so much trouble falling asleep in the evenings! I would go through my days in a rush and by the time evening rolled around I would feel exhausted, however ever time I laid my head down at night, suddenly I’d feel wired and it would be impossible for me to fall asleep. To make it worse, I’d find myself waking up in the middle of the night and struggling to fall asleep again. Finally I became tired of feeling worn down and tired all the time due to lack of quality sleep. I took a closer look into healthy sleeping habits and worked toward making sleep a priority with a few simple changes. I wasn’t alone when it comes to dwindling sleep quality and duration. The CDC reports that we’re in a sleep epidemic with 8 out 10 Americans wishing for better and more sleep. It’s no surprise as our days are filled with working overtime, family obligations, stress, and all the responsibilities that come with parenting. 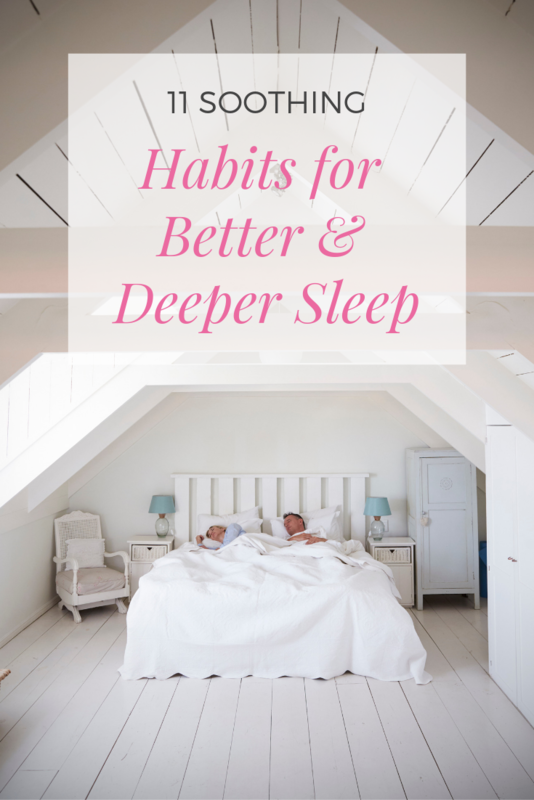 While we can’t control all the factors that can effect our sleep (ahem, hungry babies and crying toddlers), there are many healthy and simple habits that we can add to our routines to work towards falling asleep quicker and improving our sleep quality for a deeper, more rested sleep. Having a nighttime ritual is one of the easiest ways to cue your body that it’s time to fall asleep. 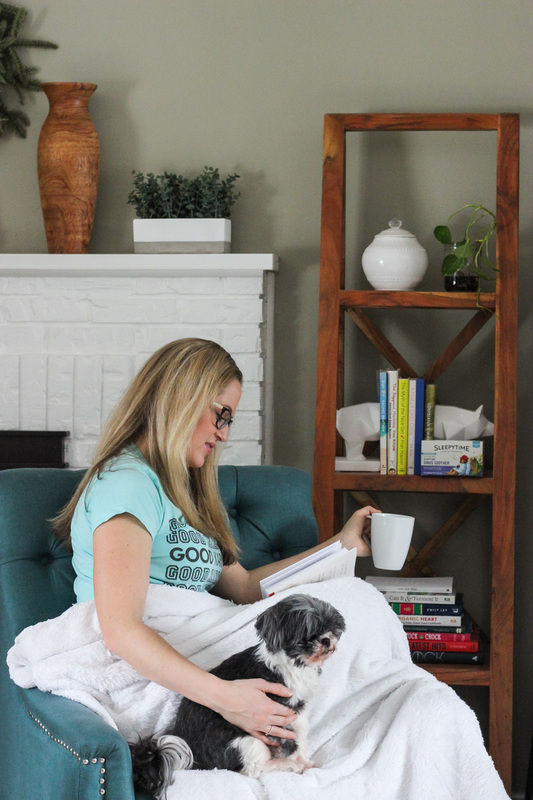 Whether it’s taking a shower, enjoying a hot cup of tea, reading a book or something entirely different, find a routine that gives you comfort and stick to it nightly. Aim to go to bed and wake up around the same time every single day. Consistently going to bed and waking at the same time helps to set your internal sleep-wake cycle which will lessen the tossing and turning struggle to fall asleep. If you have a hard time relaxing in the evening, adding an herbal tea to your nighttime routine can be a great way to slow down and prepare for sleep. 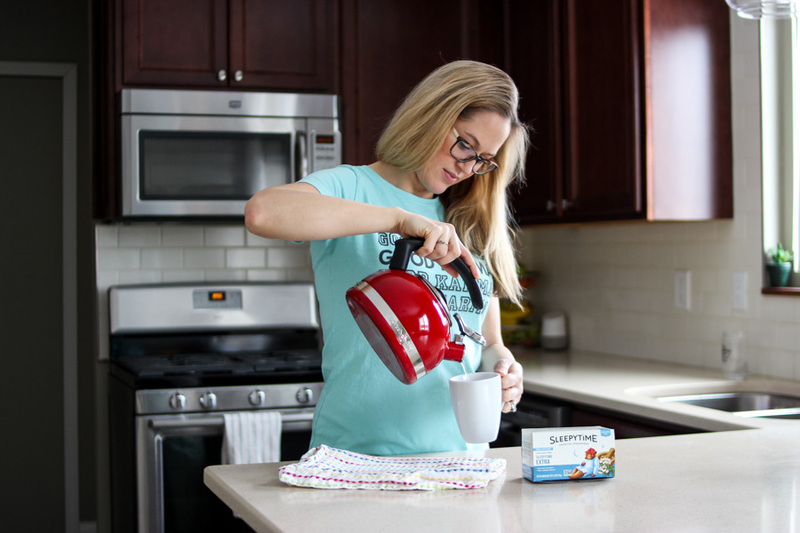 Warm herbal tea is not only soothing, but they contain so many amazing herbs that can be so helpful for alleviating ailments, calming and helping to detox the body, plus they are sugar & calorie free too! One of my favorite brands for sleepytime teas is Celestial Seasonings teas. They have a large assortment of flavors and a line that is specifically catered to bedtime teas (plus they are so super affordable). I usually drink my nightly tea a few hours before bedtime to relax and give my body a little extra TLC. The Sleepytime Extra is what I turn to on the evenings that I find that I’m having a particularly tough time relaxing or if I’m feeling stressed out. The chamomile combined with calming valerian helps my body and mind get into a more relaxed state. 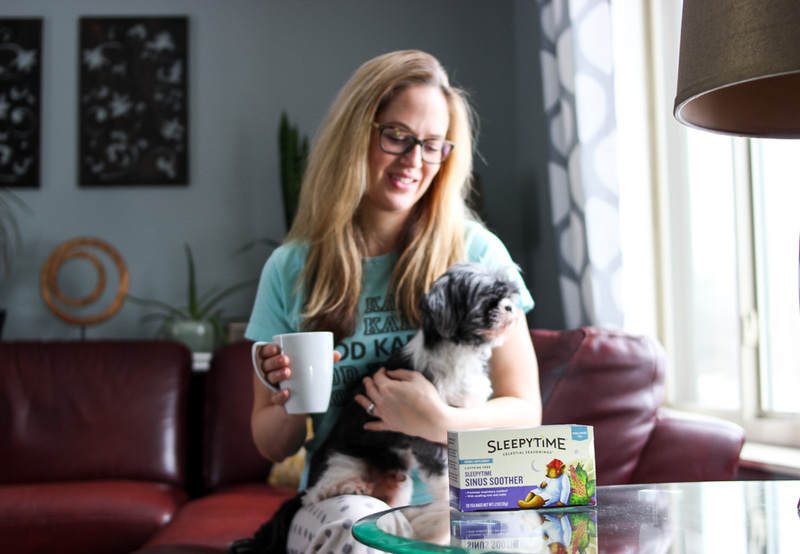 For everyday use, I love the Sleepytime Detox to add some detoxing for my body as it contains dandelion root that has been shown to be soothing for your digestive tract. 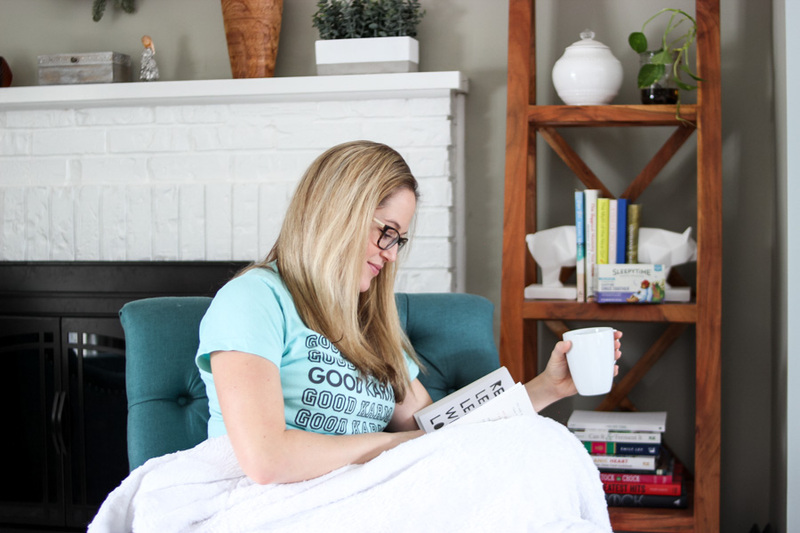 With cold and flu season making it’s appearances this past fall and winter, Sleepytime Sinus Soother has been on repeat. The menthol from spearmint and lemongrass is so soothing to irritated sinuses while the chamomile helps bring on more Zzz’s. 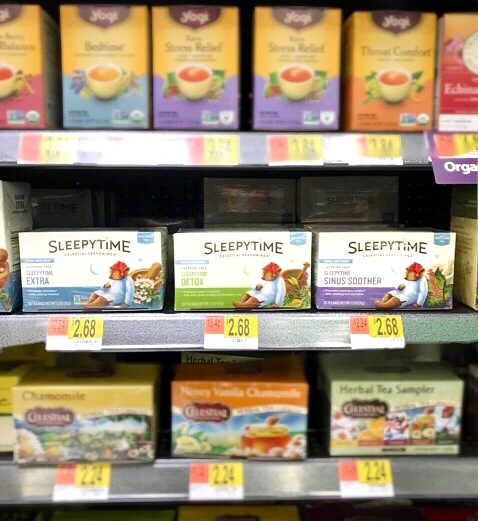 You can find these teas, as well as more, at Walmart (you can easily order them online too)! Another awesome fact: celestial tea bags are stringless and come in recyclable boxes for major bonus sustainability points! A few hours before bedtime, dim or turn off lights. This cues your body that it’s time to relax and that bedtime isn’t far away. The blue light from technology is stimulating and can actually trick your body into thinking that it’s daytime which can cause you to have a harder time falling asleep. Aim to turn off all electronics at least 30 minutes before bed (and hour is better). A dark room is ideal for deeper, more restful sleep. Turn off lights, face your alarm clock or baby monitor away from you and use blackout curtains as needed. Wear lightweight breathable clothing to bed and turn down the thermostat. The ideal sleeping temperatures are between 65 and 67 degrees. 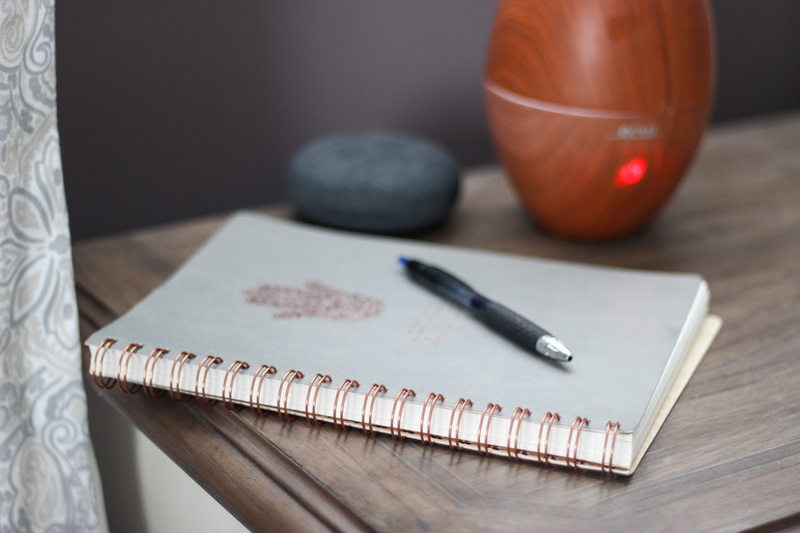 A quiet environment is ideal, but sound machines can be an amazing addition to help regulate and drown out environmental noises (like traffic, construction, etc.). If you’re struggling to fall asleep, jot down the things on your mind to deal with the next day. Empty the thoughts bouncing around in your head to fall asleep easier. 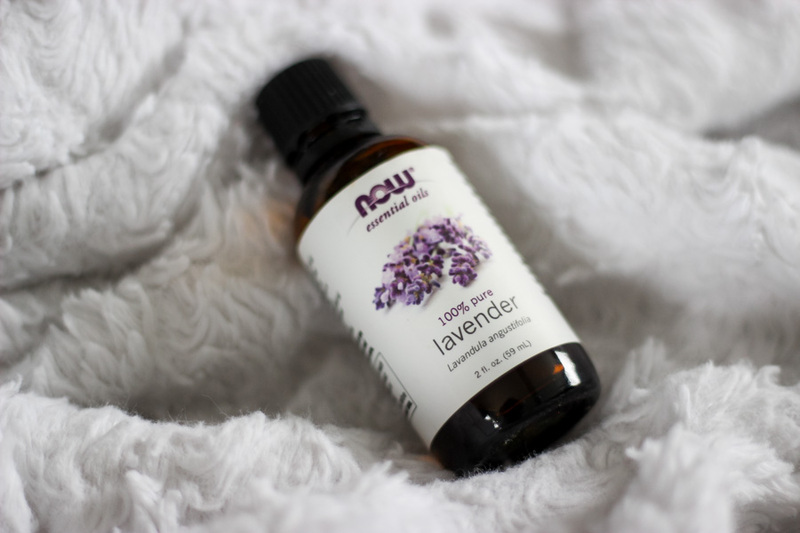 Aromatherapy can be powerful and lavender is one of my favorite calming and soothing scents to lull me into sleep. Adding a slow, mindful yoga practice to your evenings can be a wonderful way to stretch and relax muscles. Meditation has immense benefits when it comes to calming the mind as well. There are many apps that can help walk you through meditation to allow you to clear the mind and drift into sleep. When consumed late in the day, caffeine can prevent your body from relaxing at night as it can stimulate your nervous system. If you desire something warm, reach for a caffeine-free tea option (Celestial Tea has over 100 to choose from). Do you have trouble falling or staying asleep? Yes, staying asleep thanks to midlife! These tips are helpful to settle your mind. I love a night time routine. 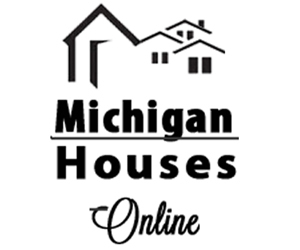 We use black out lights and it is amazing! 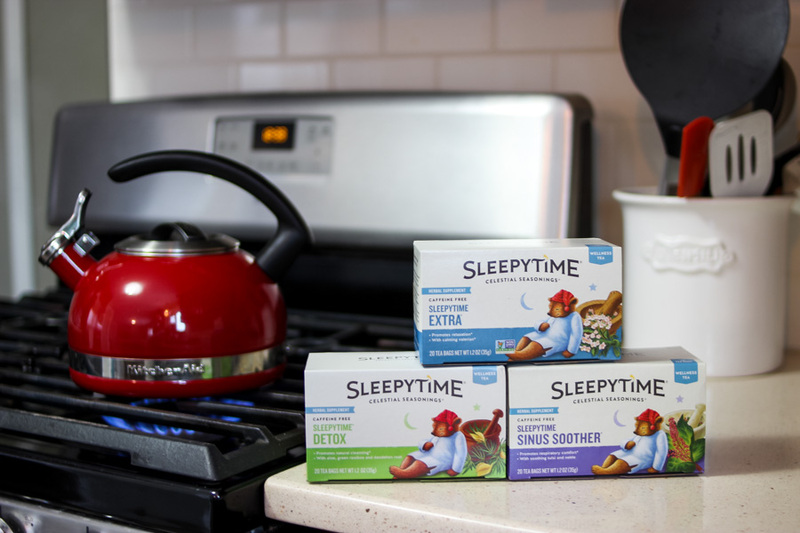 Love the sleepytime tea too! I love Celestial Seasonoings’ Chamomile teas, and Lavendar REALLY helps me get some ZZZZZs. Great suggestions 🙂 I’m still working on my nighttime routine haha. I love SleepyTime tea! When I have too much on my mind I always brew a cup and cuddle up in bed with a book!